Properties in Petersberg average 4.4 out of 5 stars. Small apartment central location Fulda Rhön Vogelsberg Hesse 2 pers. 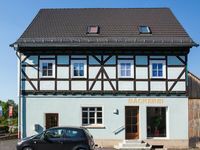 Property 3: Small apartment central location Fulda Rhön Vogelsberg Hesse 2 pers. Property 46: Housing, feast of 1001 nights in the middle of the Vogelsberg.